by George Saunders Author · Joshua Ferris Author of introduction, etc. 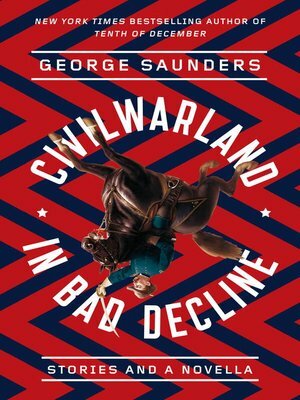 Since its publication in 1996, George Saunders's debut collection has grown in esteem from a cherished cult classic to a masterpiece of the form, inspiring an entire generation of writers along the way. In six stories and a novella, Saunders hatches an unforgettable cast of characters, each struggling to survive in an increasingly haywire world. With a new introduction by Joshua Ferris and a new author's note by Saunders himself, this edition is essential reading for those seeking to discover or revisit a virtuosic, disturbingly prescient voice.